Looking Glass Foundation’s 15th Annual Gala will take place on April 5th, 2019. Guests will join us at the stunning Rocky Mountaineer Station for what is always an inspiring event, featuring a champagne reception and silent auction, exquisite dinner with special speaker, evening program and live auction, followed by entertainment. We are seeking two volunteers to join us as Co-Chairs for Gala 2020 and 2021. 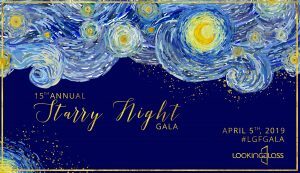 As incoming Gala Co-Chairs, we would offer each of you two complimentary tickets to our Starry Night Gala on April 5th, 2019 at the beautifully transformed Rocky Mountaineer Station. Working closely with our Executive Director and Board, and drawing upon your personal connections, actively solicit Gala Partnerships ranging from $2,500 to $25,000, in support of our $400,000 revenue goal. Drawing upon the Looking Glass community and your personal networks, ensure a sell-out event (400 guests). Supported by our Gala Committee, procure 4-5 Live Auction items (aggregate value $30,000 - $50,000), 2-3 raffle prizes, and an array of themed Silent Auction items to a value in excess of $25,000. Recruit Auction sub-committee members to help you achieve the auction acquisition targets. You will work closely with our Gala Committee – comprised of volunteers, an Event Planner, and Looking Glass staff – and be supported by our Board of Directors. You will attend monthly Gala meetings (1 ½ hours), and maintain regular communication with the Committee, Event Planner, and Executive Director. Gala 2020 Co-Chairs will be introduced at our event on April 5th, 2019. As recognition for your role, your name and company affiliation will be included in the 2020 Gala program, event-night video, and in social media. You will be offered two complimentary tickets to the Gala, and an invitation to a post-Gala wrap up event. 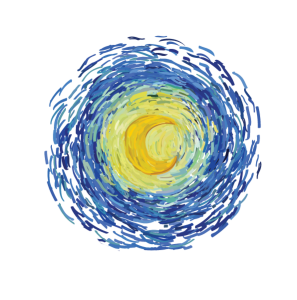 If you are passionate about mental health, are well connected in our community, and ideally have previous Gala experience – we’d love to hear from you. Please contact Susan Climie, Executive Director, 604-314-0548 or susan@lookingglassbc.com. Applications will be accepted until March 8th, 2019.